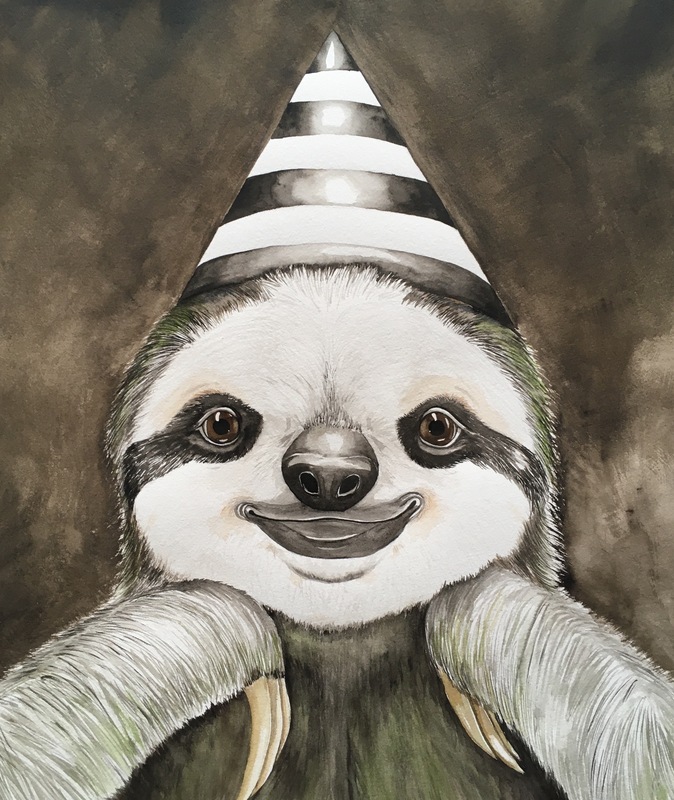 The Masquerade Sloth is a 17″x15″ original watercolor painting. It is framed in an antique gold frame. Archival grey matting and UV protective glass. I am currently representing this piece so please contact me for more information.